*1§. The award was made to Margaret by Mike Rann, Chief Executive Officer of the Rann Strategy Group (RSG), based in London and is also Visiting Professor at the Policy Institute of King’s College London. Mr Rann was most recently Australia’s Ambassador to Italy, San Marino, Libya and Albania, based in Rome. He was also Australia’s Permanent Representative to the United Nations Food and Agriculture Organisation and the World Food Programme. Between 2012 and 2014. Mike Rann was Australian High Commissioner to the United Kingdom, and Permanent Representative to the UN’s International Maritime Organisation. From March 2002 and October 2011 Mike Rann was Premier of South Australia and was leader of the South Australian Labor Party for a record 17 years. The Rann Government invested strongly in re-vitalising South Australia’s capital city, Adelaide, through a new approach to planning and urban design, a major "greening" program as well as large investments in transformational infrastructure, high tech precincts and transport oriented developments, and major events and festivals. Mr Rann served for 26 years in the South Australian Parliament, and was one of the world’s first Ministers for Climate Change. Under his leadership South Australia lead Australia with from zero to 33% of its electricity generation coming from renewables (now 41%). He established the Adelaide Thinkers in Residence Programme bringing experts from around the world to work with him and his Cabinet on a wide range of challenges including climate change policies and renewables. Following his retirement from Parliament, Mr Rann was appointed by former UK Prime Minister Tony Blair to the International Leadership Council of the UK based Climate Group. He was also Chair of Low-Carbon Australia Limited, the Federal Government’s “green bank”, which provided finance to help businesses reduce emissions; and a member of the Australian Government’s Urban Policy Forum. In 2010, Mr Rann received the “Global Champion of Climate Change Award” by the Indian Environmental NGO, Exnora International. On Australia Day January 2016, Mr Rann was awarded the highest Australian honour, the Companion of the Order of Australia. Mr Rann was born in the United Kingdom, raised and educated in New Zealand, and emigrated to Australia in 1977. 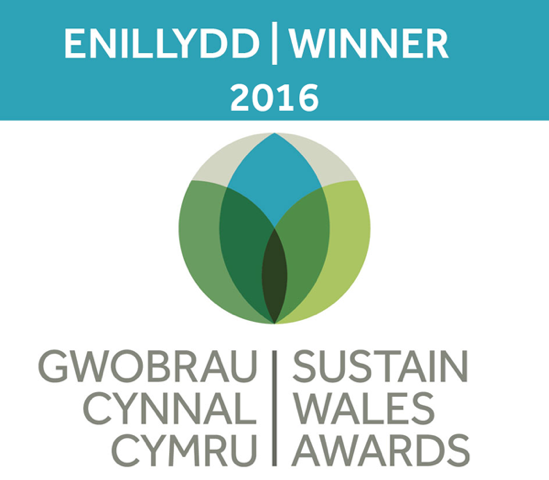 At the Cynnal Cymru annual award ceremony held in Cardiff on November 17, Margaret Minhinnick (bio) became only the second ever recipient of the ‘Special Recognition Award’, recognising her thirty plus year’s innovative work in environmentalism and sustainability. The Award was presented by Mike Rann (Hon Mike Rann AC, CNZM, Former Premier of South Australia) *1§. Margaret is only the second person to win this ‘Special Recognition Award’, after Peter Davies, the first ‘Sustainability Commissioner’ for Wales. “This award is important to me because it is recognition by my peers. “The world was a far different place in 1980, when we began Porthcawl Friends of the Earth. “Of course the challenges remain”.